She put the sparkle in your eye, now you can put the sparkle in hers with this gorgeous A. Jaffe Diamond Band. 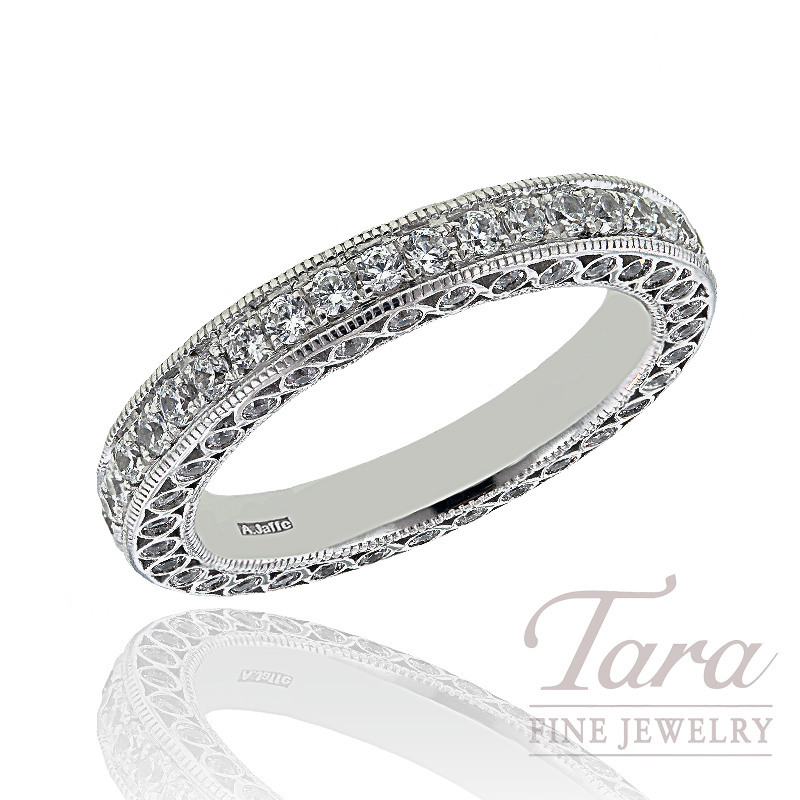 Shimmering with diamonds no matter which way you turn it, this A. Jaffe band features .93 tdw of radiant diamonds! Whether you like rich 14K or 18K yellow or white gold, or prefer shining platinum, this A. Jaffe diamond band is available for special order. For current pricing and availability, reserve yours today! Tara Fine Jewelry Company is pleased to offer the top names in jewelry design, as well as an extensive collection of fine Swiss watches by Rolex, Omega, Tag Heuer and Breitling. As Atlanta's number one choice for fine jewelry and unrivaled customer service, Tara Fine Jewelry Co. is located in Buford near the Mall of Georgia.